Android Reborn – How to Screenshot on Xperia XA1 and XA1 Ultra. Today, you can find so many types of Smartphone sold in the market. One of the best options is Sony Xperia XA1. It becomes one of the most favorite options for many people today because it comes with many interesting features. You can enjoy the features offered well. However, there are many people who still do not know how to operate it. One of the most common problems is when people want to take a screenshot. In fact, different types of Smartphone have different ways how to screenshot. 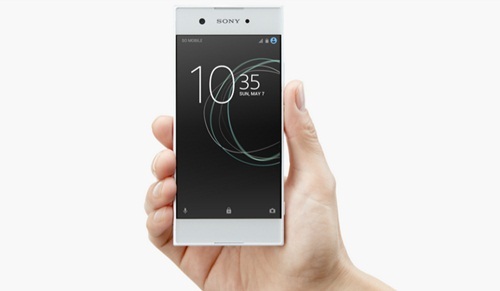 Therefore, it is very important to know how to screenshot on Sony Xperia XA1. Firstly, you have to open the screen that you want to take a screenshot on your device whether it is from gallery, chats, web, etc. The second step how to take a screenshot on Xperia XA1 adnd Xperia XA1 Ultra is to press the power button as well as the volume down together for about 3 seconds. After that, you will hear the sound of camera shutting from your device which means that the screenshot is taken. If the screenshot process is completed, it will be saved automatically on your phone gallery. So, you can see it anytime. That is all how to take a screenshot on Sony Xperia XA1 Smartphone. If you follow those steps rightly, you can take a screenshot well. To show the screenshot result, just open your phone gallery and choose Screenshot folder. You can see the screenshots there. Now, it is your turn to practice it. The key is that you should press the power key and also the volume down key at the same time together.